Will dump boxes, totes, crates, tilt trucks, carts etc. and can be loaded by a pallet jack, forklift or rolled in. 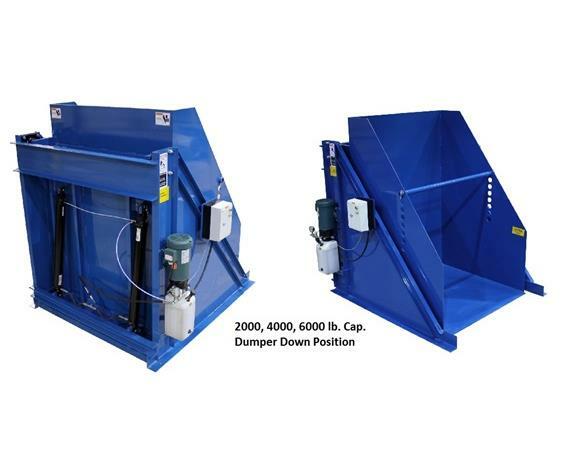 Containers are held in the dumper via a retaining bar that is adjustable in 3" height increments. 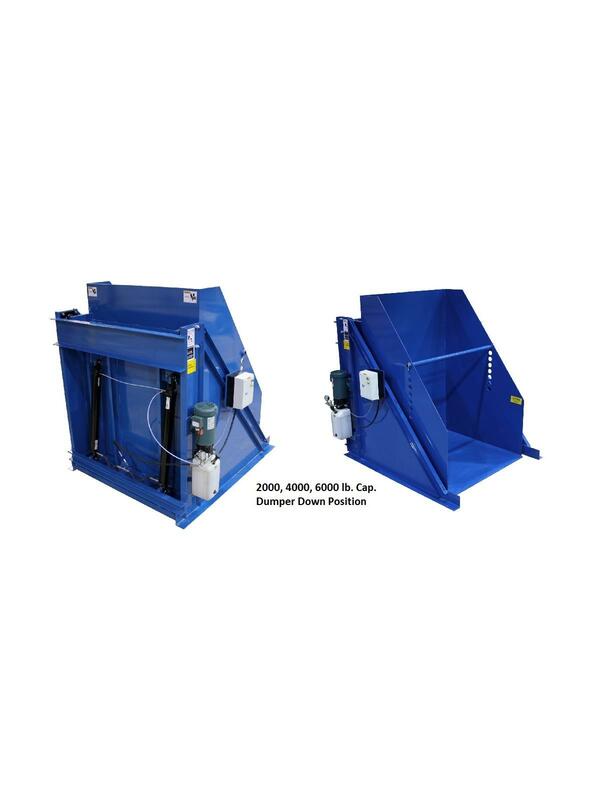 Dumpers rotate 135 degrees providing a 45-degree dump angle. It can be stopped at any time during up or down rotation. Endura-Veyor Dumpers are made in the USA and designed for high cycles and years of use. FOB Shipping Point. Gated Enclosure with Door Interlock & Shutoff Switch.